Minnie Mouse is Mickey Mouse’s sweetheart. She has a sweet personality and is often seen with Mickey during his escapades. Minnie has also been known to have some adventures of her own. Like other characters, there are things to be learned from Minnie Mouse. Check out these lessons. Be thoughtful – In an episode of Mickey’s Clubhouse, Minnie wanted to help Mickey and Pluto in their quest to find their friends Donald and Goofy. She didn’t go with them, but she made some hot chocolate for them to take to the stranded friends. This was a very thoughtful gesture. Friendships are valuable – One of the things that stand out with Minnie is that she is a faithful friend. She is a loyal friend to Mickey and she stands by her friend Daisy Duck, even when Daisy is not such a considerate friend to her. Honesty is the best policy – In the short film “Purple Pluto,” Minnie accidentally colors Pluto purple. Instead of being honest with Mickey and telling him what happened, she tries to cover up the problem. This makes for further complications, including a guilt ridden Minnie. Even though everything works out in the end, the lesson is that honesty is the best policy. Try to be patient – Minnie and Mickey show extraordinary patience with Daisy in the film “Daisy’s Road Trip.” Daisy invites herself on a trip meant to be a romantic outing for Minnie and Mickey and the ensuing escapades try the couple’s nerves. For the most part, they are exceptionally patient with their problematic friend. Loyalty is a virtue – In the short film, “Daisy’s Big Sale”, Daisy calls Minnie and asks her to come over right away. Minnie drops everything she is doing and rushes over to Daisy’s house, only to find that there is no real emergency. Minnie is annoyed, but when Daisy mentions their friendship, Minnie decides to help out her friend. Throughout the film, Daisy takes advantage of the friendship, but Minnie remains steadfast. This illustrates the loyalty of a good friend, but it should also be pointed out that taking advantage of a friendship is not okay. Compassion – Learning to have compassion for others is another virtue that needs to be taught to children. In the end of “Daisy’s Big Sale,” Minnie, who is understandably annoyed with her friend, finds Daisy alone and crying because she hasn’t made any sales and her business is ruined. 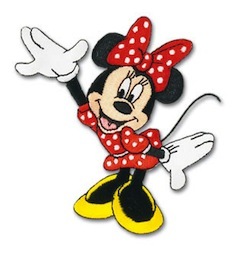 Minnie could just walk away, but instead she has compassion on her friend and offers to buy a bow from her. Minnie’s compassion for her friend is admirable. However, it’s worth noting that in true Daisy fashion, Daisy once again takes advantage of the friendship. Kids need to learn to be compassionate, but they also need to know when they are being used. Persevere – Minnie does her best to deliver a pie to Daisy in the short film “Minnie Visits Daisy.” Minnie goes to extreme lengths to follow through on her promise to get the pie to her friend. This is an example of perseverance and commitment to follow through when you give your word. Of course, being a cartoon, things end rather badly, but it does demonstrate perseverance. Be hospitable – In one episode of Mickey’s Clubhouse, Minnie plans a pajama party. All of her friends are invited to the Clubhouse for the party. Minnie gets prepared for the party by making sure there are snacks for everyone. As the party progresses, more of their friends show up. Minnie and Mickey offer hospitality to everyone, and they all have a super visit. You can easily teach your kids to be hospitable by allowing them to help in the preparations when their friends come over to play. Cleanliness – In the same episode, as Minnie is making the snacks for everyone, she keeps her area clean while she works. Her methods may be a little unconventional; however, in the end, the kitchen is clean. In most of the short films depicting Minnie cooking, her area manages to stay neat and clean. This is a worthwhile lesson to teach budding kitchen helpers. Self confidence – When Minnie makes her special pies, she knows they are exceptional. The feedback she gets from her friends confirms her belief. Teaching kids to believe in their abilities is crucial to healthy development. Tempered with humility, self confidence is a trait you want to encourage in your children. There are plenty of lessons to be learned by watching the shows your children watch. Remember, that along with positive lessons, there are lessons in what not to do or how not to behave, as well. When using shows to teach moral values or lessons, be sure that your children are learning the lessons you are intending to teach them and not different lessons that could undermine your efforts.